Update 21/11/2018: The Google Assistant app has returned to the Canadian iOS App Store after being taken down for a few hours on November 20th. Users can once again use the Google Assistant app and Siri Shortcuts to more easily access Google’s voice-activated assistant with iOS. Update 20/11/2018 4:53pm ET: Following the release of this Siri Shortcut, Apple has removed Google Assistant from the Canadian iOS App Store. The app still seems to be available in the U.S. iOS App Store. It’s unclear why the app has been removed from the App Store. Although Google Assistant has been available on iOS for a while now, actually accessing the voice-activated assistant required launching a dedicated app. In some ways, this additional and inconvenient step defeated the convenience of a digital assistant in the first place. In an interesting move on Google’s part, the ways you’re able to access Google Assistant with iOS have changed in a somewhat roundabout way. Thanks to a new update, it’s now possible to use Google Assistant with Apple’s Siri Shortcuts. 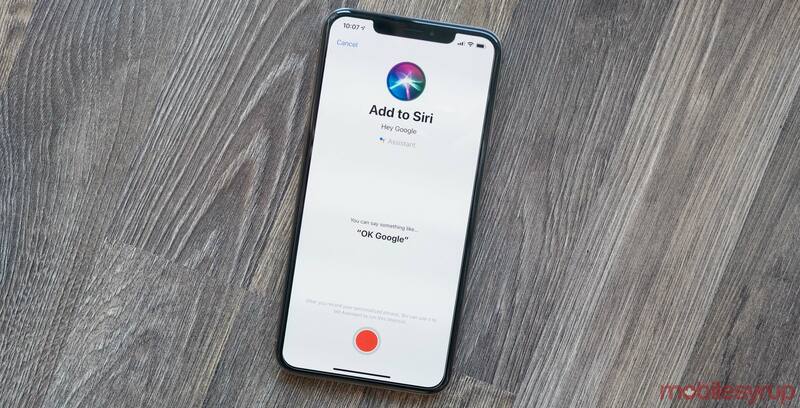 This means that through the simplified If This Then That (IFTTT)-like app, you’re able to record phrases like “Okay, Google,” which then cause the Assistant app to open and listen to your command each time you prompt Siri, Apple’s voice-activated assistant. Though this might sound complicated, once you get the hang of Apple’s Shortcuts app, setting up this sequence is relatively simple. It’s important to note that for the app’s new Siri Shortcuts integration to work, you need the latest version of Google Assistant installed on your iOS devices, as well as Apple’s Shortcuts app. The prompt to set up the functionality shows up at the top of Google Assistant’s main screen as soon as the app is launched, though in the Canadian version of the iOS Google Assistant app the string ‘KOPALocalizationStringNotFound’ is listed in the Shortcuts prompt. Further, you can also set a widget on the left of your home screen that gives you instant access to Assistant, though this feature isn’t new. Given that we’ll never see Google Assistant operating system level integration with iOS, workarounds like this are likely as close as we’ll ever get to easily accessing Google’s voice-activated assistant. The Google Assistant app is available for free in the iOS App Store.